The group has a humble beginning way back in 1978 when the then young and enterprising Dato (Dr.) Hussamuddin Bin Hj Yaacub started his small publishing business in a shop lot to produce his first ever product, Mingguan Kanak kanak. From then on, through perseverance, passion, sheer determination, hard work and vision, the company has grown to what it is today . Being in the publishing business, growth and expansion within the realm of publishing, printing and intellectual products seemed to be a matter of course for the group. In 1990, through Alaf 21 and Karya Bestari, the group started to print novels and books of various genres. Subsequently, in the same year, through Ultimate Print and Dasar Cetak, the group’s foray into the commercial printing business started. Growth and success tryst within the group. Like all success stories, leadership and vision to see beyond played pivotal role in the group. The need for a newspaper that is both neutral and independent in its reporting amidst a curtailed media landscape saw the birth of Sinar Harian in 2006 – the first state customized national newspaper. With a 38% growth in readership in 2012, Sinar Harian is the fastest growing newspaper in the country. 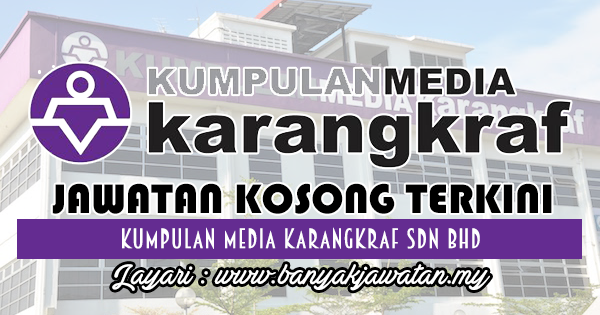 0 Response to "Jawatan Kosong di Kumpulan Media Karangkraf Sdn Bhd - 31 Mac 2018"